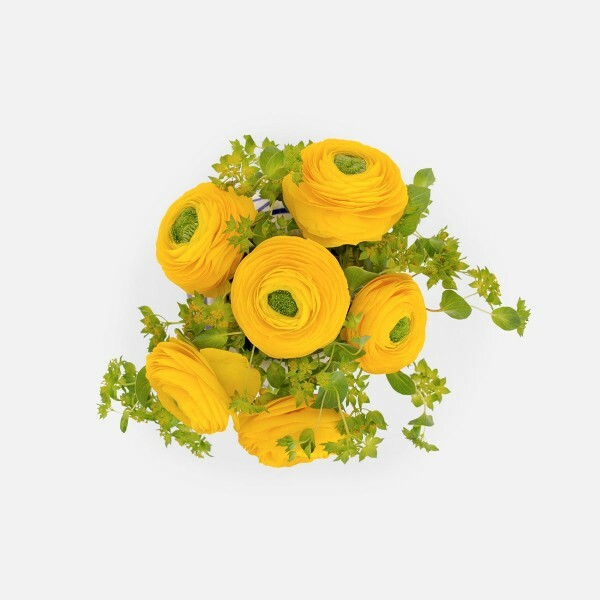 Bright and classy, this arrangement of yellow ranunculus and green bupleurum makes a statement on any table. 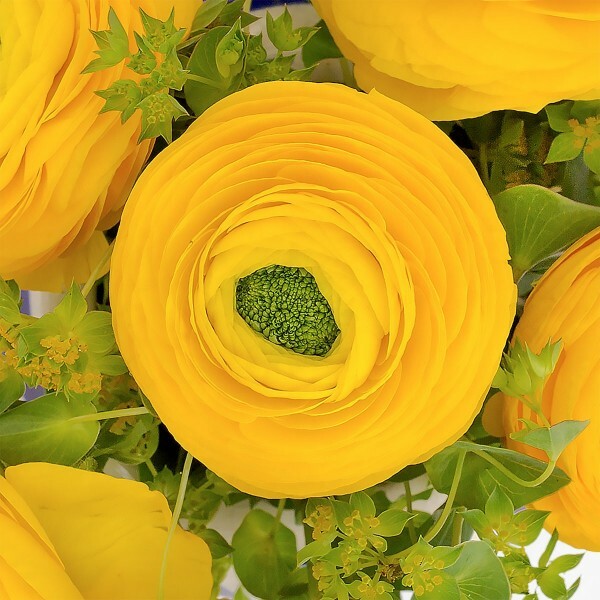 The perfect centerpiece for luncheons in the sun, the Limoncello Uno features bright yellow ranunculus alongside green bupleurum. 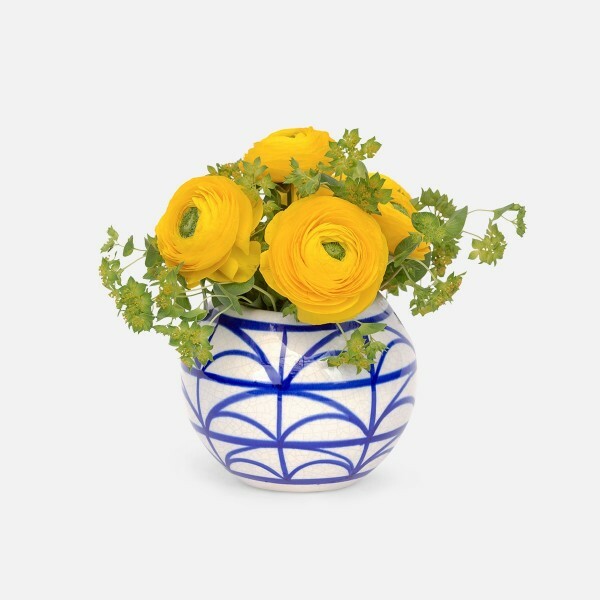 What really gives this presentation some pop is the boldly patterned blue-and-white ceramic vase. 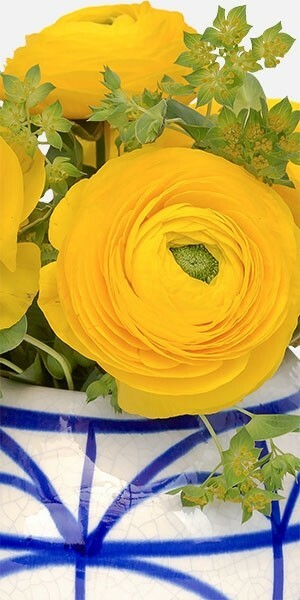 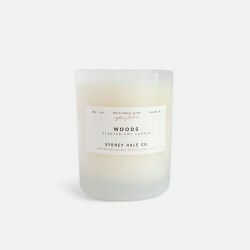 The Limoncello Uno will most definitely make you want to raise a glass in celebration!